Henrique João Lopes Domingos holds a PhD in Information Systems and Computer Engineering from the Faculty of Sciences and Technology (Faculdade de CiÃªncias e Tecnologia), New University of Lisbon (Universidade Nova de Lisboa), 2000. Previously he graduated (1978) and obtained a Master degree (1995) in Electrical Engineering and Computer Engineering, from the Faculty of Engineering form the University of Oporto and Faculty of Sciences of the University of Lisbon, respectively. Currently he conducts his research activities in the NOVA Laboratory for Computer Science and Informatics (NOVA LINCS Research Center, FCT/UNL), where he is an integrated research member in the Computer Systems Research Group. He is also Assistant Professor at the Department of Informatics Engineering, FCT/UNL, and he has been responsible, since 2003, by teaching activities in different courses of the BSc, MSc and PhD programs, including: Computer Systems and Network Security, Computer Networks, Distributed Systems Middleware Engineering, Dependable Distributed Systems, Advanced Topics on Distributed Systems, and Computer Systems Security. His research interests are currently focused on the design of secure, dependable and efficient large-scale systems, with particular interests in cloud computing security, trusted computing, privacy-enhanced cloud-based computing and private information retrieval solutions, and new encryption techniques for encrypted data computations. His research activities are aligned with the strategic project of NOVA LINCS, focusing on the design of new large-scale systems, with the research activities integrated in the NOVA-LINCS Computer Systems Research Group. 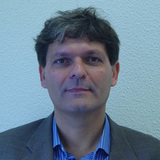 Henrique Domingos is a member of the ACM and IEEE, ACM SIGGROUP and he he is currently elected member of the Executive Board of Internet Society - Portugal. Considering other extensions of his academic activities, as well as, R&D and Engineering activities, he was a founder member of four companies, acting today in the national and international market of eBanking and ePayment platforms for internet and mobile retail, corporate, investment and private Banking and Financial Services, with particular emphasis on Core Banking Platforms (Deployment and Integration), Internet eBanking and Software Solutions for ePayment Products. For some platforms as references, see: Caixa Direta OnLine Platform, Caixa Plim, Deutsche Bank DB-OnLine or Santander-Totta NetBanco Platform, for example. He has been involved as expert, invited consultant or auditing committee member in different institutions, such as: Portuguese Government, CEGER, Banco de Portugal, INstituto de Defesa Nacional, Grupo Caixa Geral de Depósitos, Agência Nacional de Inovação, European Comision, SIBS, Deutsche Bank, Banco Mundial, Fundação Calouste Gulbenkian, Banco do Brasil, Bolsa de Valores de Lisboa, SECIL, AMAZON AWS or Banco Nacional de Angola, among other institutions.